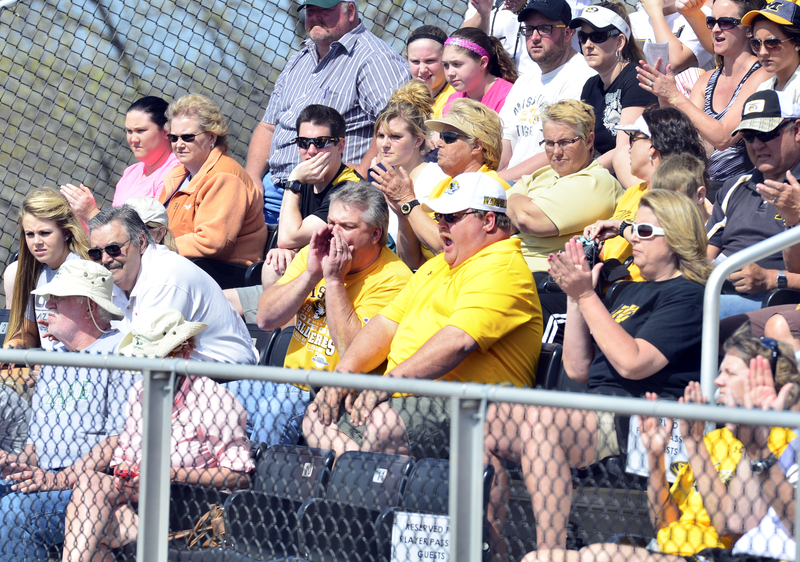 With 10 freshmen on the Missouri softball team, the Tigers look to seniors Ashley Fleming and Kristin Nottelmann for leadership. Coach Ehren Earleywine has not asked either of the players to step-up, but his seniors have taken charge with the motto, “lead by example.” As the team’s 2011 top hitter, Fleming leads with her bat and offensive skills. Nottelmann, a pitcher, shows how to have grace and poise as the No. 2 starter. Freshmen Kelsea Roth and Corrin Genovese have taken notice and hope to help the seniors return to the Women’s College World Series in their final season. The mule is the state animal of Missouri — but how much do we really know about them? At an auction barn in Boone County, Vox Magazine takes a look at the history of Missouri mules. *I shot video, conducted interviews and produced the package for web. This Vox magazine front-page feature appeared as a splash page online. 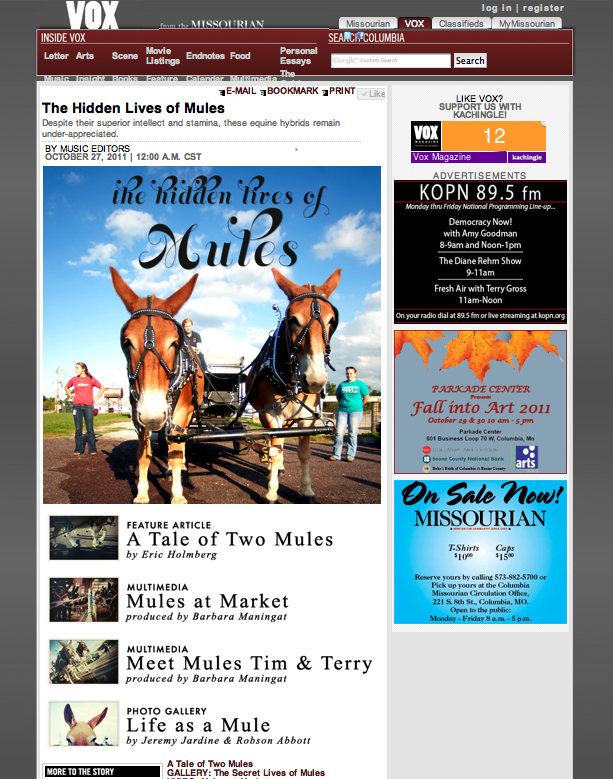 A full text article covering the history and significance of mules in Missouri, photos and multimedia videos can be found on the website. “I can’t think of any better ambassadors for the school than the mules, besides the students,” Dr. John Dodam, associate dean of the College of Veterinary Medicine, said during a campus tour in the mule cart. The mules, Tim (always on the left) and Terry, are active members of the Columbia community. They give campus tours and hayrides and participate in many activities with the students at the veterinary school as part of the MU Mule Club. *I produced the package for web. I was assigned to create an instructional video directing England Senior National Team fans on how to properly fold their print-at-home tickets. The produced package was sent to all ticket holders via email, post-purchase.